After two weeks of having guests in our home we're all alone again. The house seems strangely quiet. Nobody splashes us with cold pool water or tries to wrestle our lilos from under us. There's nobody to drink beer with and nobody to punch, pinch or scratch me - affectionately, of course :). 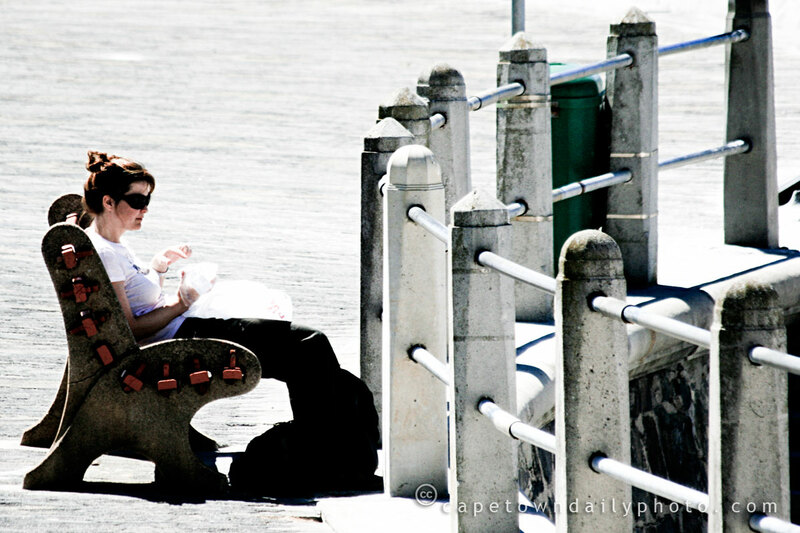 There's nobody for us to show around the sights of Cape Town or to lie on Clifton beach with. There's no-one for us to hike up warm mountain rivers with and nobody to get sunburned with. There's nobody around to join us in these and all the other fun things that we've done in the last two weeks. Truth be told, I guess I'm exaggerating a little. While we don't have visitors in our home anymore we know plenty of people who are really keen to get out and do stuff. I guess this is a pre-Christmas resolution then to tear ourselves away from our work, get out there and enjoy our city, the surrounding sea and the mountains in the new year. Posted in General on Friday, 19 December, 2008 by Paul.